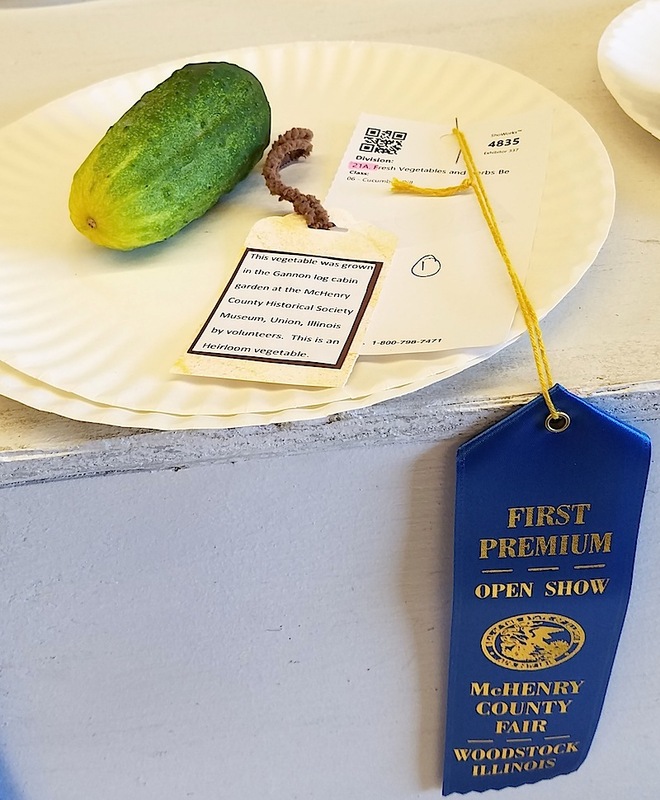 Thanks to all fo the volunteers who worked to make this year's McHenry County Fair a success. 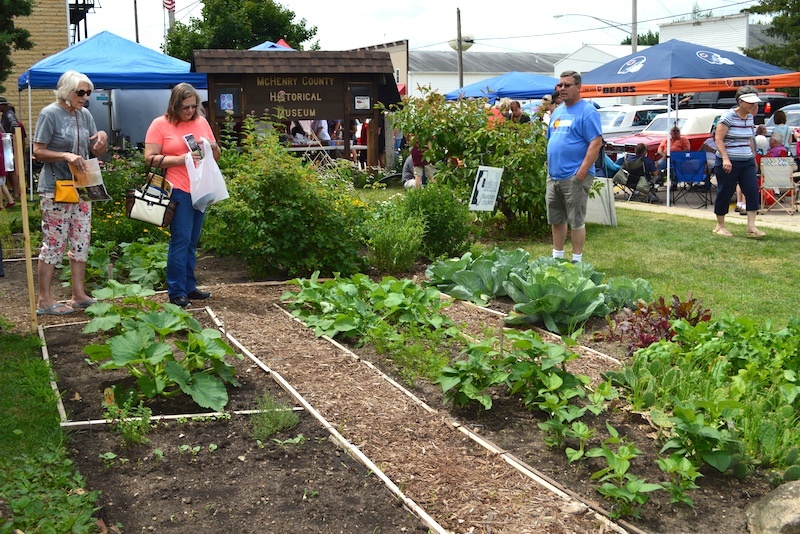 Despite the heat, the pictorial panels Exhibits Curator Kira Halvey put together was a big hit - as was this year's Heritage Quilters offering: Pieceful Garden. 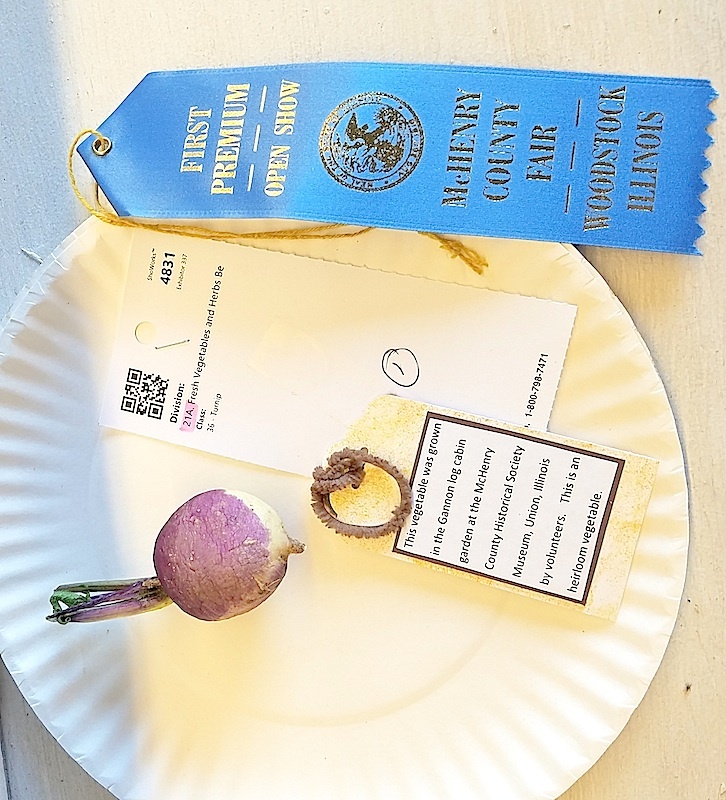 Volunteers fronm the University of Illinois Extension earned four firsts (radish, green beans, cuccumber, turnip) and a second (potato) for produce entered from the Gannon Cabin garden. Congratuations one and all!